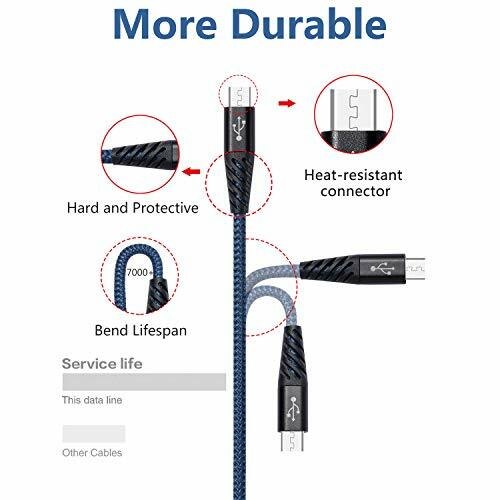 【Ultra-durable】2018 New Fish Net Nylon Braided design make this micro usb cable more durable,more flexible and sturdier than the normal ones. Tangle free cord design eliminates bunching, tangles, and knots. 【Fast Charging】High-quality four-core copper wires enhance charging & data transfer speed of the micro usb cable. Charge around 30% faster than many standard cables and sync at speeds. Say goodbye to waiting! 【Perfect Compatibility】 Compatible All Android charger cable support Samsung Galaxy S7/S6/S5,Nexus, LG, Motorola, Nokia etc. 【Extra Length】1FT,3FT,6FT, various length for using on sofa, in bed, in car and some other places. 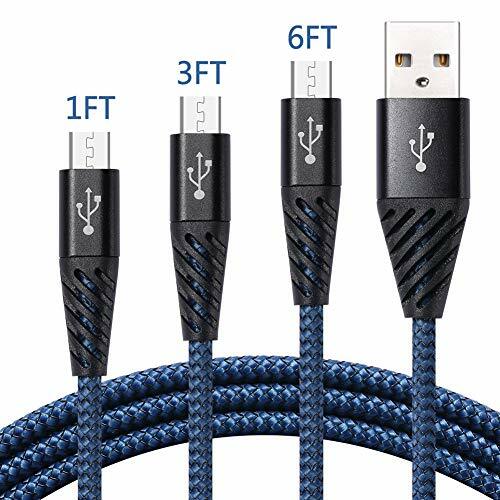 The bundles of the micro usb cables make your life more convenient. 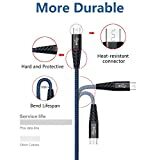 【Protect Your Devices】High-quality cable and 0.2 inch additional layer design to protect your devices and lightning adapters from damage. 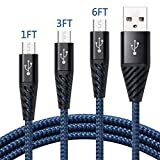 12 Month professional and friendly warranty ensures long-lasting enjoyment of your purchase of these micro usb cables.